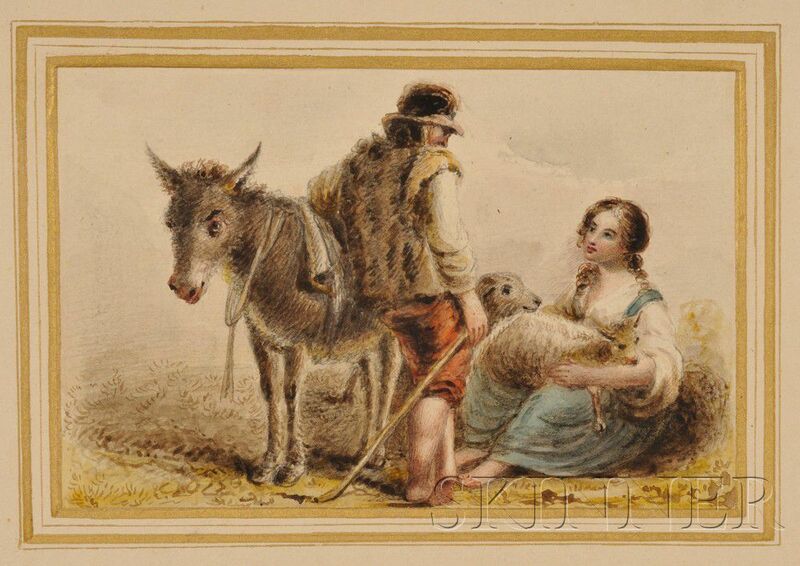 Scrapbook (1828), First page signed J. Easten. 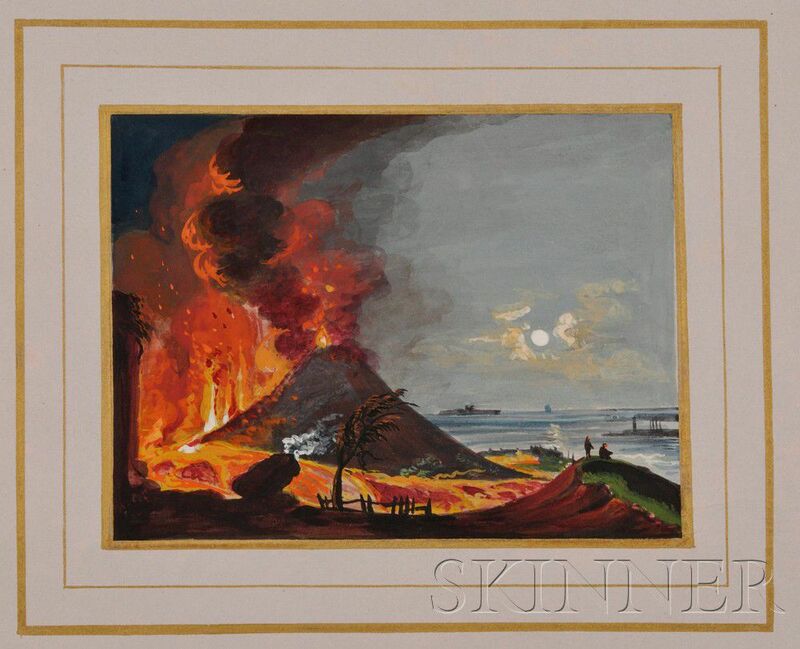 A collection of pencil sketches, gouache paintings, engravings, drawings, and manuscript poems and short stories, 432 pp. 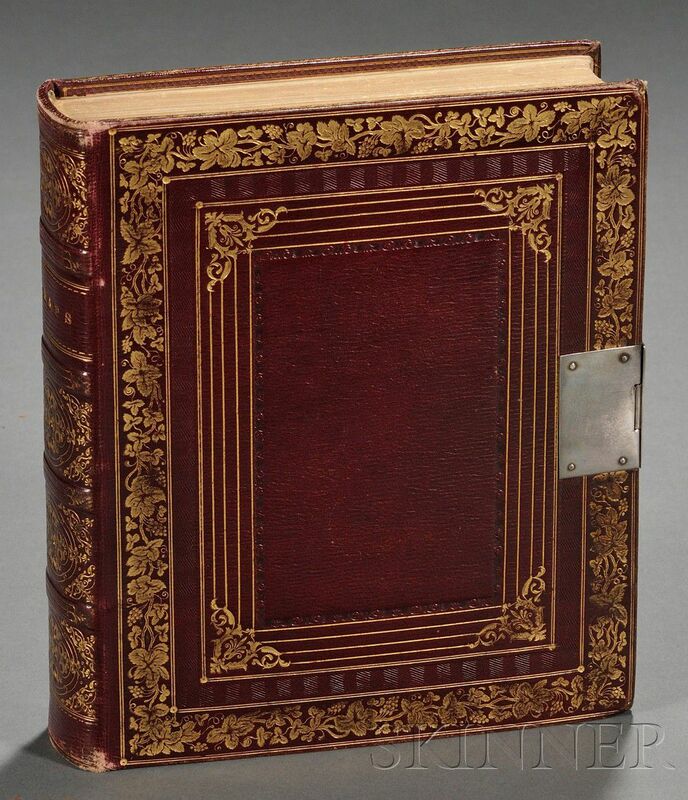 ; all poems and stories are copied by hand; the text leaves are colored paper; some of the original artwork has been drawn directly onto the text leaves, others are mounted, as are all of the engravings; all contents perfectly preserved in full burgundy gold-tooled morocco closed with a silver clasp, housed in a tattered slipcase.